BRF team with Ashanullah University teachers. 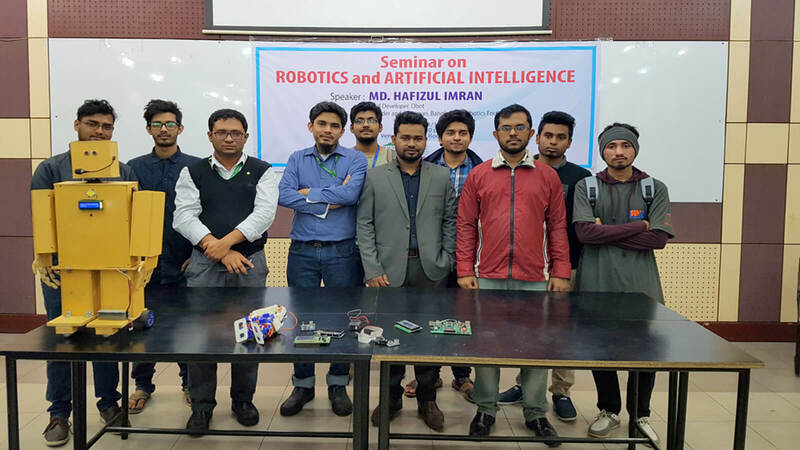 On 17th January 2018 Bangladesh Robotics Foundation arrange a seminar on Robotics and Artificial Intelligence. 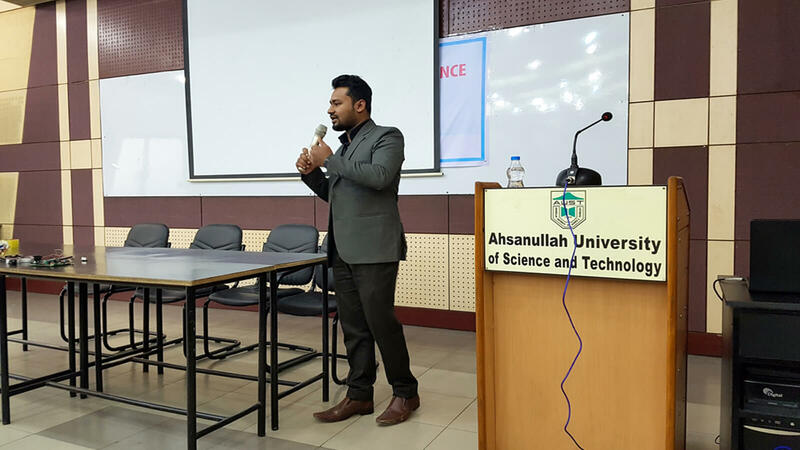 The seminar took place in Ahsanullah University of Science and Technology (AUST). 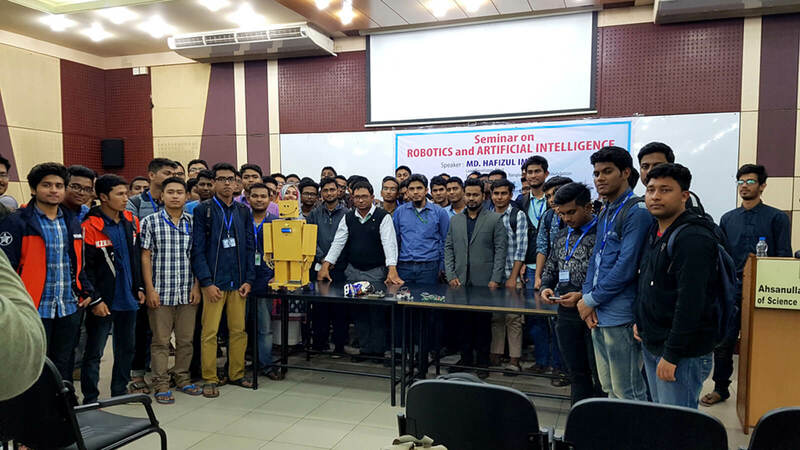 The goal of this seminar was to give the idea about Artificial Intelligence, Robotics and their relations. In this seminar Dr. A. F. M. Anwarul Haque Professor of AUST, Dr. Mohammad Sarwar Morshed Professor (AUST) and Md. Jubayer Hossain Assistant Professor (AUST) were present. 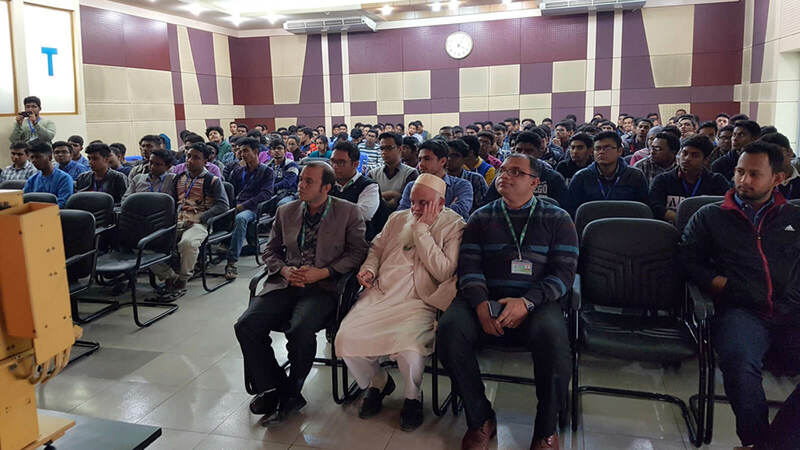 Hafizul Imran, Founder and Chairman Bangladesh Robotics Foundation was the keynote speaker of this event. 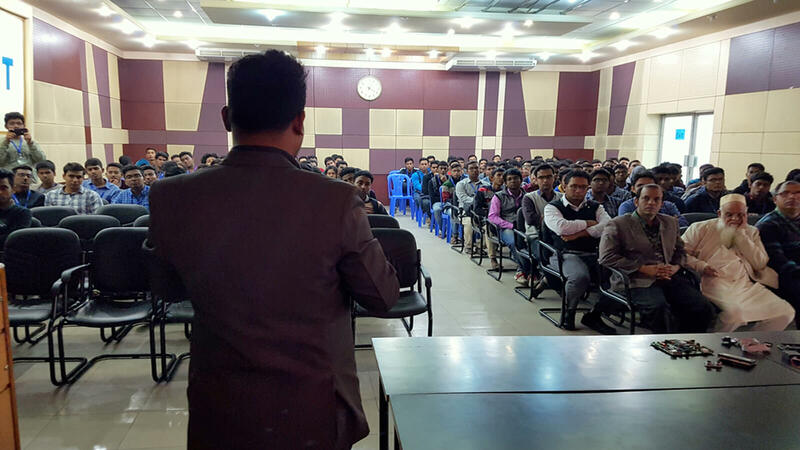 He gave the audience a view on robotics & Artificial Intelligence and . He also talk about both educational and professional use of robotics. Some others executive members also presents in that seminar demonstrate many innovation towards the audiences. At the end of the seminar a group photo was taken with BRF team and seminar audiences.